OK, this is a weird one as – sadly – the band recently went on an indefinite hiatus after starting work on their second album. It could be permanent, it could be that they’ll sort things out in a year or two. Nobody knows, but at least the guys have been honest about it. Crying shame as their debut release Supervolcano is a wonderful freight train of an album. Death Ape Disco gained themselves quite the following through hard work and talent and tears were wept when the band announced they were calling it a day, temporary or otherwise. But what’s important is that they did produce that album, it is indeed great and it will stand as testimony to all their hard work. 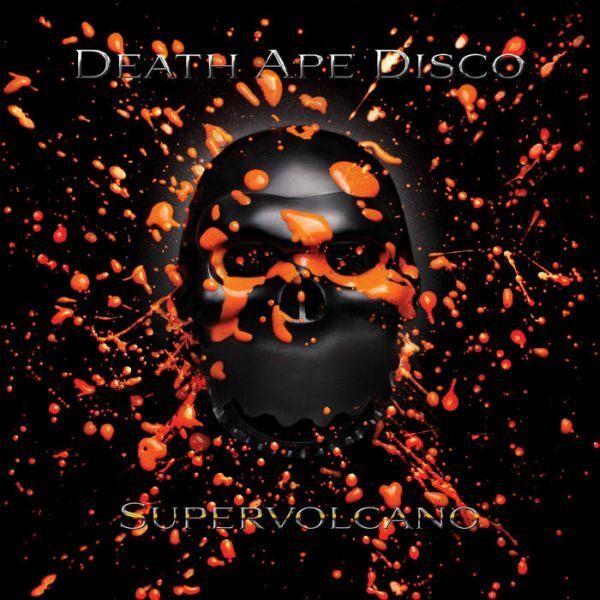 Sitting in the hard rock end of the pub, but rubbing shoulders with metal crowd, Death Ape Disco are/were Brighton-based and released Supervolcano in 2013. It’s seven tracks of utter thumping goodness and can be downloaded for whatever you want to pay for it on Bandcamp, or you can order a CD for £7. Probably worth the £7 for the awesome album cover alone, frankly. It’s as well produced as anything you’ll get from the major labels and each track is a doozy. Catchy, edgy, a little bit dirty. I can only imagine these guys live (I hear they owned), and hope that one day they sort out whatever it is that’s caused them to end things and let the music bring them back together.